I intercepted my Glen-L 14 on it's way to the scrap yard! It had been donated to the local Sea Scouts, but turned out to be too small, and in need of too much repair to make it worth their while. I wasn't sure about taking it on either, but was convinced by the aluminium mast and boom, and the two almost brand new sails! 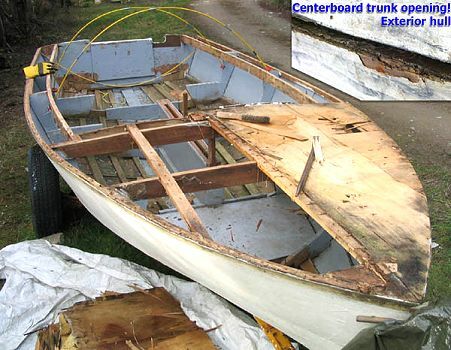 Last summer (04) I removed all the rotten decking, seats and flooring and sanded the hull down through all the paint. I coated the hull with epoxy, and put new fibreglass on the keel and chines, dealing with the really bad spots with extra fibreglass and epoxy. 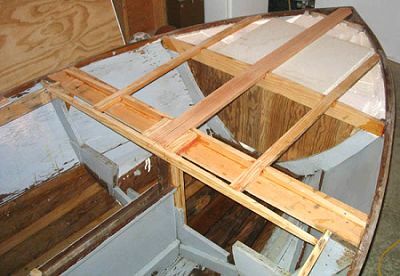 I built a new deck, new seats and new flooring, beefed up the transom and added floatation as well. 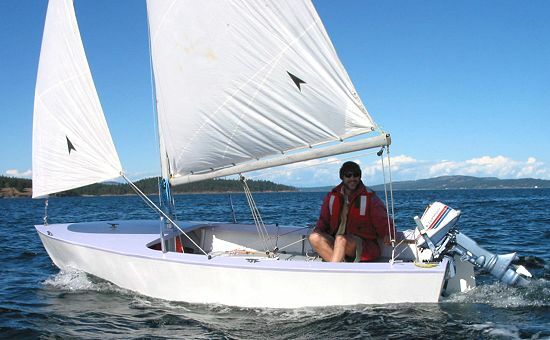 The Glen-L web site was very helpful for this, my first boat building project. We launched her this spring (named Samgita) and my wife, 2 sons and I have sailed her almost every weekend (and often I'll go mid-week)! We've gone camping in her too and look forward to many years of fun on this boat! She is moored in the ocean about 2 blocks from my home on Salt Spring Island (near Victoria, British Columbia) from about May to October. I scrape the hull about every two weeks, to keep the barnacles and seaweed in check! I love this boat.